In an effort to offer a more descriptive understanding of their role in the arts community, The Hiddenite Center has enhanced its brand name and will be known as the Hiddenite Arts & Heritage Center. For the Center’s staff and Board of Directors, this subtle shift in branding represents a natural development, signifying the Center’s long-term role in the arts community. As part of this development, the Center has established refreshed statements of mission, vision, and goals for the organization. Rooted in the values that have consistently driven the Center’s previous three decades, these updated statements will guide the Hiddenite Arts & Heritage Center’s path toward future programming. To share this enhanced brand and exciting future with the public, the Hiddenite Arts & Heritage Center has launched a dynamic, new website: www.hiddenitearts.org. The site features the Center’s new logo and an innovative overall design, which was inspired by the majestic natural heritage of the region. Visitors to the site will find the Center’s current mission statement along with their vision and goals. 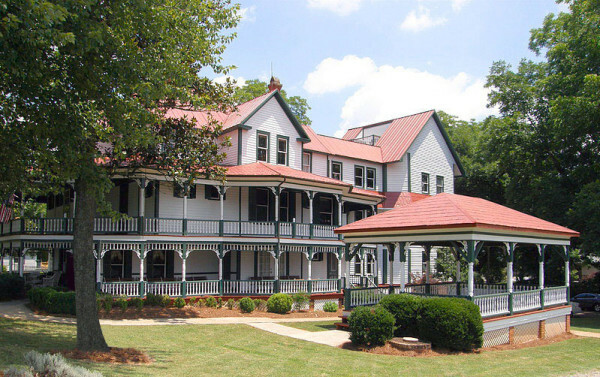 The site provides information about the Center’s ongoing events and programs, including an events calendar, images from and information about current exhibits, opportunities to learn more about the history of the Lucas Mansion and its namesake, Alexander County Visitor Center information, and links to join the Center’s online arts community through email and social media. To learn more about the Hiddenite Arts & Heritage Center call (828) 632-6966, email info@hiddenitearts.org or visit www.hiddenitearts.org.